Do you know Hawaii is the only American state made up entirely of islands? It consists of 132 different islands including 8 main islands and 124 reefs, islets, and shoals. Hawaii is a beautiful and sunny destination that boasts of oceanic surroundings, natural scenery, abundance of public beaches, warm tropical climate, and active volcanoes. We pride ourselves here in Hawaii for reaching out and helping others. That is what a career in the hearing health services industry can do for you. So are you ready to prepare for the hearing aid specialist licensing exam here in Hawaii?? In 2012, Hawaii was at the forefront for hearing aid healthcare benefits. Under the benefits offered by the state, every person will receive hearing aids for each ear every 60 months. Hearing loss can result from growing age or can be a result of various factors include birth complications, certain infections, generic causes, exposure to loud music or overuse of drugs. However, it is never too late to protect your hearing. Early identification of hearing loss and the use of hearing aids help patients benefit greatly. When it comes to acquiring the hearing aid license, every state in the U.S. has its own requirements. Therefore, it is imperative to get yourself familiarized with your state requirements. 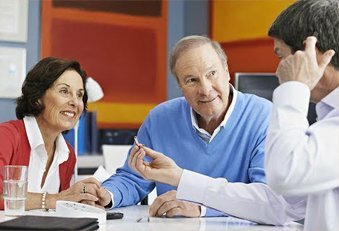 Qualified and knowledgeable hearing aid specialists at Hearing Aid Academy can help you gain access to information about your state requirements. This is a self-paced 100% online program that makes it easy for a person to study anytime anywhere according to his comfort and convenience. So if you have a laptop with a working internet connection you can study while returning home in a metro, while going to the office, during night time or whenever you get time. This further eliminates the need to travel to a college and endure unnecessary expenses. This also makes it easy to stay true to your commitments and continue your daytime job while preparing for a career in the hearing aid industry. For more than a decade now, Hearing Aid Academy has helped students acquire the fundamental knowledge to get licensed and become a hearing aid specialist. When compared to hearing aid specialist courses offered by traditional colleges, the HAA online course is a cost-effective option. While a college will cost you approximately $48,000 for a two years course, you can complete this online course in less than 12 weeks at a fraction of the cost. Also, you can clear your doubts on the one-on-one session with HAA qualified instructors with more than three decades of experience. HAA online hearing aid specialist licensing program include relevant subjects without introducing unnecessary elements. So, you will be paying a fraction of the amount to what you would have paid in a traditional college. Moreover, as you have access to the online material, you can go back to a topic you do not feel confident in. Self-paced online programs such as the Hearing Aid Academy are more effective than traditional programs because you won’t have the luxury to sleep or get distracted. You can complete this program in 3 to 6 months depending on how fast or slow you want to go. The books you need to complete the online program are set in a module-based design. Hearing Aid Academy’s program consists of 31 modules spread over 100 hours of video training. Before you move to the next module, you need to clear an exam. This exam tests your knowledge and helps you have a better understanding of the subject. hearing aid service is a fast-growing industry where high demand for licensed and qualified hearing aid specialists is seen. This is because many retail locations such as Walgreens, Costco, and CVS Pharmacy are opening hearing aid centers in their locations nationwide. It is estimated that there are probably 5 jobs for every licensed hearing aid specialist. Moreover, improved technology is also playing a vital role in the growth of the industry. Over the past few years, manufacturers have been successful in developing smaller and effective hearing aids than ever before. Now a patient can wear hearing aids that will be virtually invisible to other people. With reduced cost, high quality and small design, the demand continues to increase. Hearing Aid Academy is your one-stop solution to prepare for hearing aid specialist licensing exam here in Hawaii. We at HAA provide students the advantage to study at their own pace and become a hearing aid specialist in less than 3 months. We have qualified instructors on board with more than 30 years of experience. The HAA online program takes much less time, money, and commitment than the traditional college. Moreover, financial assistance is provided to those who qualify. The hearing aid is a growing industry. So, if you want to make a difference in someone’s life and help them hear better, enroll in the program to become a licensed hearing aid specialist in less than 12 weeks. Pass the written and practical hearing aid specialist licensing exam here in Hawaii administered by the International Hearing Society to start practicing as a hearing aid specialist. Work flexible hours and earn as much as you want.